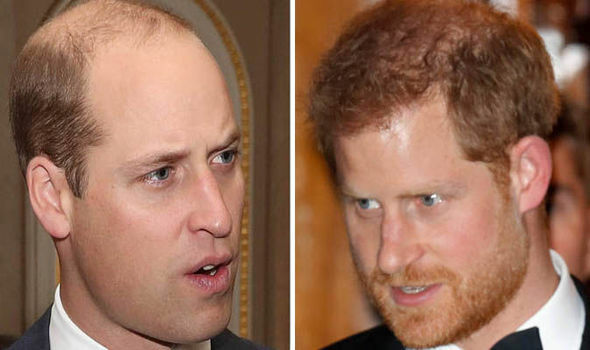 RINCE Harry and Prince William have been involved in a bitter row after the Duke of Cambridge was accused of not “rolling out the red carpet” for Meghan Markle following her and his brother’s engagement, according to a royal insider. This revelation comes after the news the Duke and Duchess of Sussex are to move out of Kensington Palace amid reports of “tension” with the Duke and Duchess of Cambridge. Speaking to Vanity Fair’s Katie Nicholl, a source claimed “any issues are between the brothers’”. Meanwhile, a mutual friend said: “Harry felt William wasn’t rolling out the red carpet for Meghan and told him so.” It is understood the rift got so bad their father the Prince of Wales had to step in to help resolve his son’s differences. The source added: “They had a bit of a fall out which was only resolved when Charles stepped in and asked William to make an effort. On Saturday, Kensington Palace confirmed Harry and Meghan would be moving out of their Nottingham Cottage in Kensington Palace and into Frogmore Cottage to start their new life with their first child in the spring. In a statement, Kensington Palace said: “The Duke and Duchess of Sussex will move to Frogmore Cottage on the Windsor Estate early next year as they prepare for the arrival of their first child. The couple has lived at Nottingham Cottage since their engagement last year. It has since emerged the dispute had allegedly been building in the run-up to Meghan and Harry’s wedding earlier this year in May. Kate, 36, was reportedly left in tears after a “stressful” bridesmaid fitting just months after giving birth to her third child. However another royal insider has played down the rift between Harry and William stating they have just “grown up” and still “incredibly close”. A source told the Daily Mail: “The idea of the two of them as ‘the boys’, the brothers doing everything together and living in each other’s pockets, has been pushed with good intentions, but hasn’t really existed for some time. “The truth is that they have both just grown up. They are rare in that they live together and work together, but there has been a stepping back.